Marketers publish content through a variety of channels on a regular basis. But what do you do with that content once it’s been distributed? Collect those webinars, blog posts and e-books in a content hub to extend the life of your best assets. A content hub centralizes content into a single location for web visitors to consume on demand, either on your own website or as a standalone site. You can limit your hub to your own branded content or sprinkle it with curated influencer content relevant to your brand topics. Making your content accessible and easily searchable is the best way to take advantage of the “Netflix effect.” How many times have you disappeared down an Internet rabbit hole, allowing one video or article lead you to the next and the next? A good hub encourages users to read “just one more piece” by putting multiple options at their fingertips. 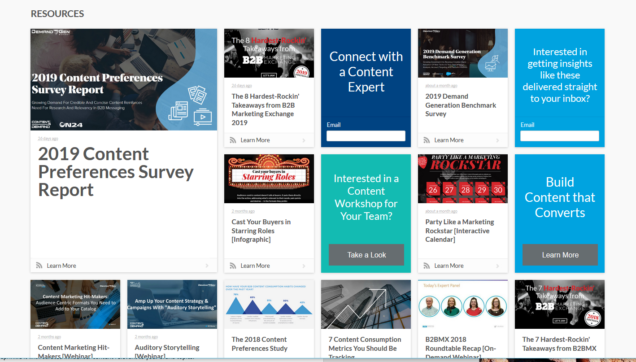 According to our 2019 Content Preferences Survey Report, 41 percent of respondents consume three to five pieces of content before engaging with a sales rep, and 24 percent consume five to seven assets. Feeding them multiple assets at once helps you nudge prospects closer to engaging with your sales team. Tip: Extend the binge by making sure that every asset includes a link to recommend another relevant piece of content. 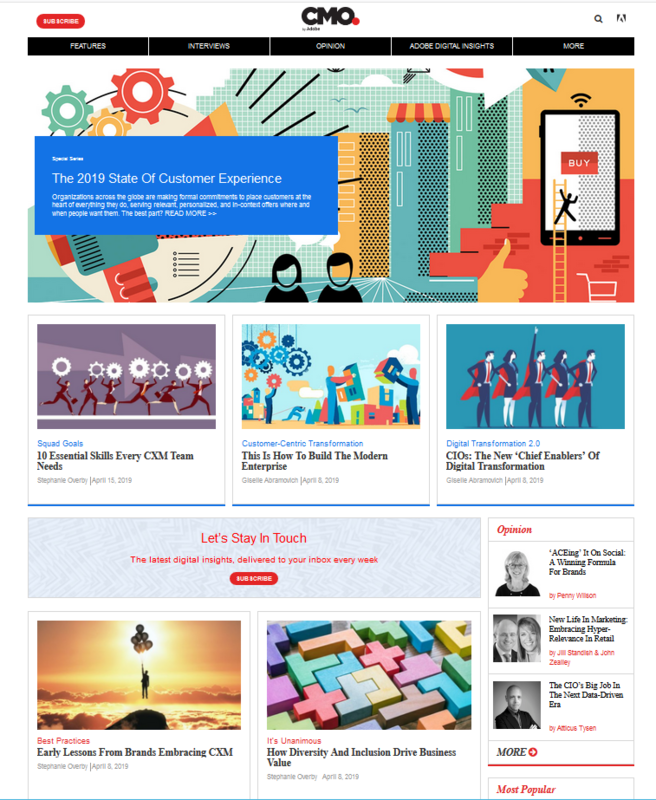 CMO.com by Adobe pulls users in with colorful imagery and lots of options. A logically constructed content hub will keep your best, most useful evergreen content from languishing in the deep recesses of your content archive. They’ll be front and center in the hub when users browse by topic or search for relevant keywords. Organize your content hub so that prospects can search relevant terms to drill into a specific topic. If your library goes deep enough, consider adding subtopics to help users find what they need in as few clicks as possible. Tip: Make each asset even more clickable by including a compelling headline and an eye-catching graphic. 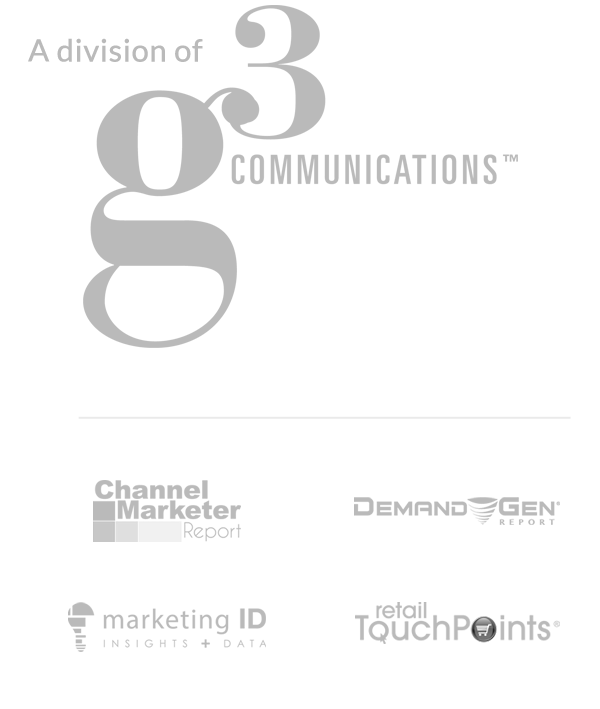 Retail TouchPoints built a colorful content hub for Kronos. Customers tend to know only about the services you offer that they already use. 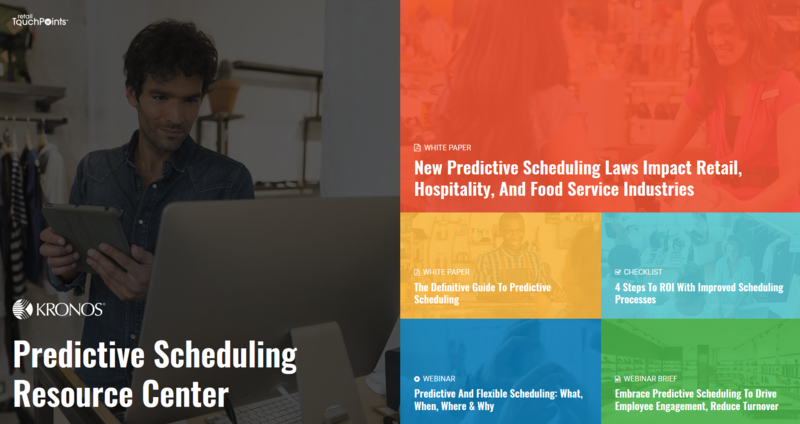 Organizing your content in a hub demonstrates your full range of expertise, giving prospects and customers more ways to take advantage of all your products and services. 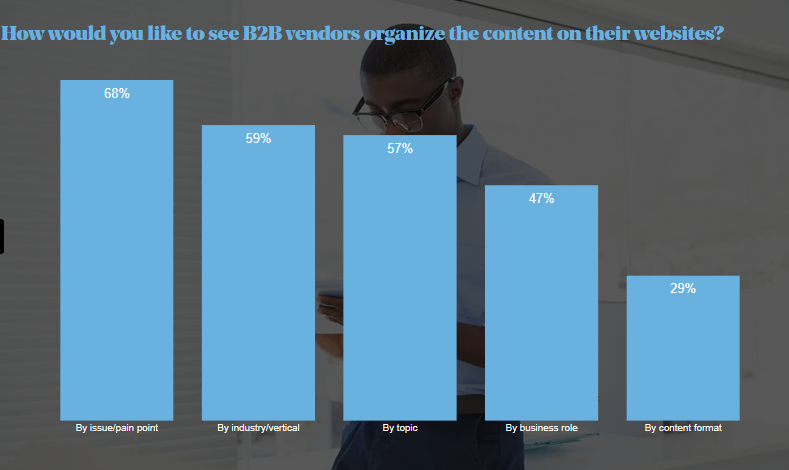 68% of respondents want B2B vendors to organize content by issue/pain point on their websites. 59% would like to see it organized by industry/vertical. 57% want content organized by topic. Tip: Keep an eye on the metrics, both to optimize your users’ search results and to learn how to improve with new content. The 2019 Content Preferences Study Report shows how buyers prefer to search for content. Prospects today are hungry for credible content. Our Content Preferences Survey found that 97% of respondents place a higher emphasis on the trustworthiness of the source of content – up from 78% in 2018. When they see that you have a depth of knowledge in the topics they’re most interested in, that’s a great sign that yours is the expertise they’ll want to tap. Your credibility is likely to increase with Google as well. Include lots of high-quality internal links and consider linking out to other trusted industry experts with insights that are relevant to your topics. Both will help you rank higher in Google search results. Tip: Carefully managed metadata will ensure better, faster searches. 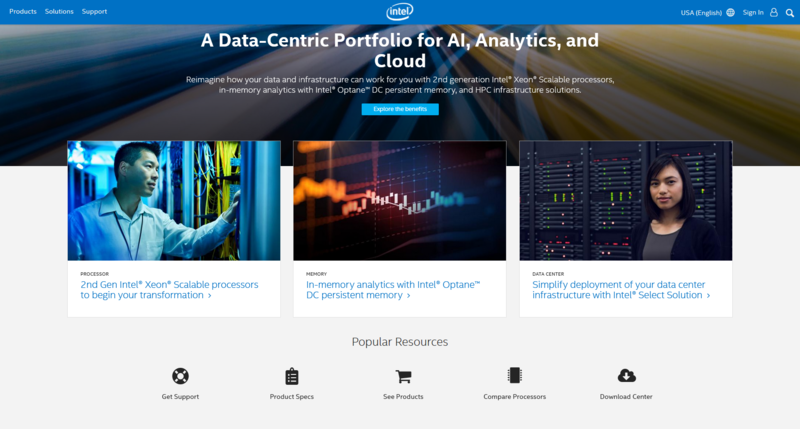 IQ makes Intel’s most popular content easily accessible. Our own content hub is powered by Uberflip, and you can check it out here. Let us know if you need help getting started with yours. Drop me a line at holly@content4demand.com for more information.